Abstract: Insulinoma is a predominantly benign and rare neuroendocrine tumor. Patients with insulinoma typically present with neurologic symptoms from hypoglycemia, such as confusion, dizziness, and behavioral changes, as well as symptoms from a surge in catecholamine levels, such as palpitations, diaphoresis, and tachycardia. Symptomatic patients usually have glucose levels below 55 mg/dL and are relieved of their symptoms when carbohydrate is administered. The 48-hour test, performed by measuring blood glucose levels of insulin, C peptide, and proinsulin collected every 4–6 hours in fasting patients, accurately confirms the diagnosis of insulinoma in the majority of the patients. Once the diagnosis is confirmed, the next step in management involves identifying the location of the tumor and successfully removing it surgically. In the last two decades, clinicians have moved away from invasive angiography for preoperative localization. A multiphase computed tomography (CT) can be used to localize the lesion and evaluate for metastasis. If CT does not detect the lesion, selective arterial calcium stimulation test is recommended to identify the region of the lesion in the pancreas. Some argue that all preoperative localization techniques are superfluous. The combination of intraoperative ultrasound and operative palpation has led to a nearly 100% success rate. Recently, in select cases, laparoscopic enucleations and resections of insulinomas have been performed with shorter length of stay and faster recovery time. Despite advances in imaging, a little over 10% of insulinoma patients undergo reexploration for missing lesions. Patients who are not candidates for tumor resections or awaiting surgery have had symptomatic relief from diazoxide and somatostatin analogs among various medical therapies. In patients with metastatic insulinoma, progression-free survival and overall survival are reported from newly approved chemotherapeutic agents. Liver-directed therapies, such as ablation and selective radiation, and cytoreductive surgery have also been performed for symptom control and prolonging survival. Insulinomas are rare functional neuroendocrine tumors (NETs) of the pancreas. The challenges of insulinoma diagnosis, localization, and surgical management have seen changes over the last few decades. In addition to describing the past standards of care for insulinoma, this review will elaborate on present-day best practice and recent advances made in the diagnosis and management. Despite long-standing and reliable use of the 72-hour monitored fast, recent work at the National Institutes of Health strongly supports the use of a 48-hour fast and measurements of plasma insulin and proinsulin without prolonged fasting or other stimulation or suppression. Additionally, the protocol for the 72-hour test could be different from center to center, whereas the 48-hour test is easily reproducible and cost effective.9 The 48-hour test is conducted by measuring blood glucose levels of insulin, C peptide, and proinsulin collected every 4–6 hours. Sulfonylurea is also measured, as it can cause hypoglycemia and is not present in patients with insulinoma.1 The test is continued in a similar fashion to the 72-hour fast until the patient develops hypoglycemia, defined as plasma glucose below 40 mg/dL, and neuroglycopenic symptoms as mentioned earlier.9 Hypoglycemic patients with inappropriate insulin and C peptide levels, and negative sulfonylurea screen then go on to have localization studies.9 In one study, for 95% of insulinomas, the fast was terminated at 48 hours and very few were required to fast the full 72 hours, when the subtle signs of neuroglycopenia were not picked up.9 It is therefore essential to note that very infrequently, a 72-hour test may be required to evoke evident hypoglycemia. Figure 1 The distribution of the sensitivity rate of preoperative noninvasive and invasive methods in the localization of insulinoma, in all published cases (n=6,222). Abbreviations: Angio, angiography; CT, computed tomography; EUS, endoscopic ultrasonography; MRI, magnetic resonance imaging; SACS, selective arterial calcium stimulation; THPVS, transhepatic portal venous sampling; US, ultrasound. A variety of invasive preoperative localization techniques have been used for localization. Selective digital subtraction angiography was considered the gold standard for preoperative localization of insulinoma, with success rate above 90%.3,15 This success has been difficult to match after the 1990s as only 29%–50% of insulinomas were localized using arteriography.5,15 Additional problems with cost, and technical difficulties have also impacted its utility as a first-line study for insulinoma. Moreover, the success, availability, and increased use of the aforementioned noninvasive diagnostic techniques have also contributed to the decreased application of invasive angiography. An invasive localization study that has also fallen out of favor is transhepatic portal venous sampling. Here, a percutaneous and transhepatic catheter is passed into a branch of the portal vein, followed by introduction of the catheter into small veins draining the pancreas.13,15 An elevated insulin level sampled from these veins reveals the location of the insulinoma in the pancreas. Although transhepatic portal venous sampling has a sensitivity of more than 70% and has intraoperative application, the special skills required to perform the procedure with minimal morbidity limits its broad application. 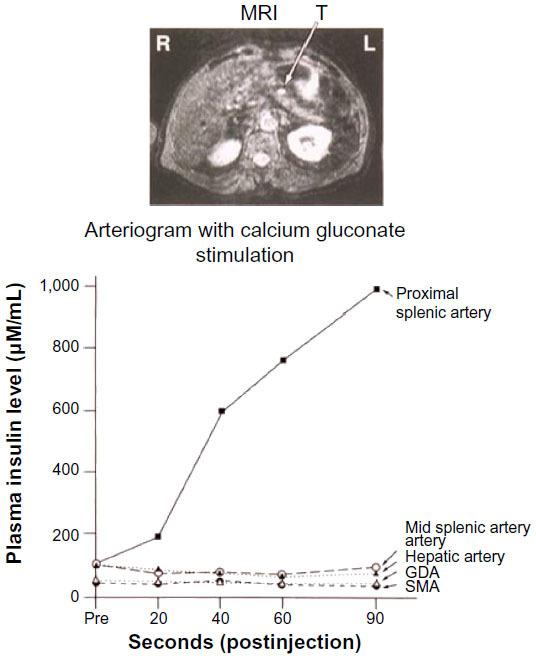 Figure 2 Left hepatic vein insulin concentrations after intra-arterial calcium injections. Notes: Injections of the superior mesenteric artery, gastroduodenal artery, proper hepatic artery, and mid splenic artery do not show any suspicious areas. 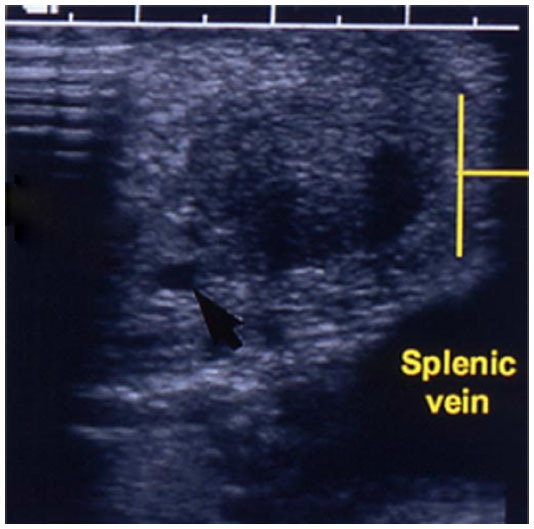 However, the increase in insulin concentration after injection into the proximal splenic artery localizes the lesion close to the pancreatic head area, corresponding to the MRI above (Photograph courtesy of Steven K Libutti and National Institutes of Health, Bethesda, MD, USA). Abbreviations: GDA, gastroduodenal artery; MRI, magnetic resonance imaging; SMA, superior mesenteric artery; R, right; L, left; T, tumor. Figure 3 The distribution of sensitivity rates of intraoperative modalities in the localization of insulinoma, in all published cases (n=6,222). Abbreviations: IOUS, intraoperative ultrasound; IOGM, intraoperative glucose monitoring. 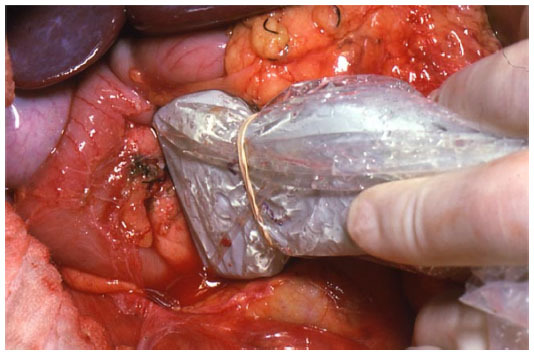 Figure 4 Intraoperative view of insulinoma. Note: Photograph courtesy of Steven K Libutti. 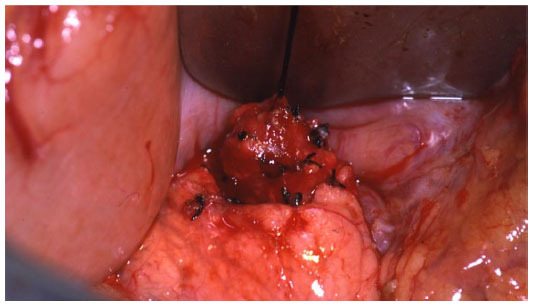 Figure 5 IOUS placed on insulinoma in Figure 4 to identify the location of the mass in relation to vascular structures and pancreatic duct. Figure 6 IOUS of Figures 4 and 5. Notes: The black arrow is pointing to the pancreatic duct. The yellow lines are showing the insulinoma. Photograph courtesy of Steven K Libutti. 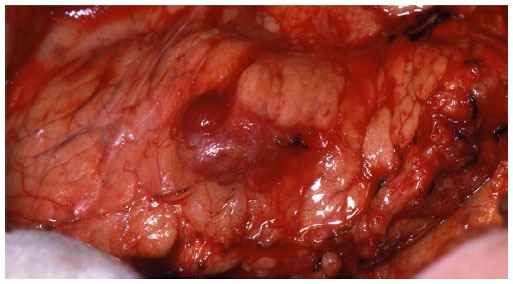 Figure 7 Enucleation of insulinoma seen in Figures 4, 5, and 6. 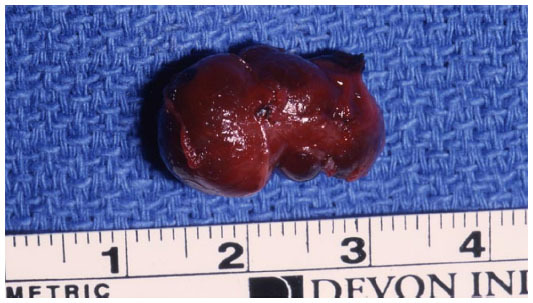 Figure 8 Final specimen of insulinoma as shown in Figure 4, 5, 6, and 7. Surgical complications include pancreatic fistula, pseudocyst, intra-abdominal abscess, pancreatitis, hemorrhage, and diabetes.9 Laparoscopic procedures carry similar rates of complication.25 Pancreatic fistulas are the most common complication for patients with insulinomas because of the soft texture of the gland.25 The majority of these complications are managed with conservative drainage and parenteral nutrition, with or without the addition of somatostatin analogs. Insulinoma is a very rare neuroendocrine tumor that has a unique presentation at the time of diagnosis. Patients with insulinoma develop symptoms such as confusion, dizziness, and palpitations that are relieved by consuming carbohydrate. Although it is predominantly a benign tumor, many biochemical tests and imaging modalities have been applied to properly diagnose and localize insulinomas. The 48-hour test can be used to accurately diagnose insulinoma in the majority of insulinoma patients, with very few having to complete the full 72-hour test. Preoperative CT scan is helpful in ruling out metastasis. Following the diagnosis of insulinoma, the definitive treatment of the tumor is surgery. IOUS, in conjunction with palpation, can correctly locate insulinoma. In the cases of missing insulinomas, SACS is a helpful tool to identify the anatomic region of the lesion in the pancreas. The medical management of insulinoma patients who are not surgical candidates or with malignant insulinomas has also seen many advances. In addition to the many available agents for symptomatic control of the disease, newly approved agents, such as sunitinib and everolimus, have had encouraging results in progression-free survival. Service FJ. Hypoglycemic disorders. N Engl J Med. 1995;332(17):1144–1152. Whipple AO, Frantz VK. Adenoma of islet cells with hyperinsulinism: a review. Ann Surg. 1935;101(6):1299–1335. Grant CS. Insulinoma. Baillieres Clin Gastroenterol. 1996;10(4):645–671. Richards ML, Gauger PG, Thompson NW, Kloos RG, Giordano TJ. Pitfalls in the surgical treatment of insulinoma. Surgery. 2002;132(6):1040–1049; discussion 1049. Boukhman MB, Karam JM, Shaver J, et al. Localization of insulinomas. Arch Surg. 1999;134(8):818–822; discussion 822–823. Boukhman MP, Karam JH, Shaver J, Siperstein AE, Duh QY, Clark OH. Insulinoma – experience from 1950 to 1995. West J Med. 1998;169(2):98–104. Callender GG, Rich TA, Perrier ND. Multiple endocrine neoplasia syndromes. Surg Clin N Am. 2008;88(4):863–895. O’Riordain DS, O’Brien T, van Heerden JA, Service FJ, Grant CS. Surgical management of insulinoma associated with multiple endocrine neoplasia type I. World J Surg. 1994;18(4):488–493; discussion 493–494. Shin JJ, Gorden P, Libutti SK. Insulinoma: pathophysiology, localization and management. Future Oncol. 2010;6(2):229–237. Dizon AM, Kowalyk S, Hoogwerf BJ. Neuroglycopenic and other symptoms in patients with insulinomas. Am J Med. 1999;106(3):307–310. Kennedy EP, Brody JR, Yeo CJ. Neoplasms of the endocrine pancreas. In: Mulholland MW, Lillemoe KD, Doherty GM, Maier RV, Simeone DM, Upchurch GR Jr, editors. Greenfield’s Surgery Scientific Principles and Practice. Philadelphia, PA: Lippincott Williams & Wilkins; 2011:857–871. Vig S, Lewis M, Foster KJ, Stacey-Clear A. Lessons to be learned: a case study approach insulinoma presenting as a change in personality. J R Soc Promot Health. 2001;121(1):56–61. Mathur A, Gorden P, Libutti SK. Insulinoma. Surg Clin North Am. 2009;89(5):1105–1121. Hirshberg B, Livi A, Bartlett DL, et al. Forty-eight-hour fast: the diagnostic test for insulinoma. J Clin Endocrinol Metab. 2000;85(9):3222–3226. Mehrabi A, Fischer L, Hafezi M, et al. A systematic review of localization, surgical treatment options, and outcome of insulinoma. Pancreas. 2014;43(5):675–686. Hashimoto LA, Walsh RM. Preoperative localization of insulinomas is not necessary. J Am Coll Surg. 1999;189(4):368–373. Guettier JM, Kam A, Chang R, et al. Localization of insulinomas to regions of the pancreas by intraarterial calcium stimulation: the NIH experience. J Clin Endocrinol Metab. 2009;94(4):1074–1080. Brown CK, Bartlett DL, Doppman JL, et al. Intraarterial calcium stimulation and intraoperative ultrasonography in the localization and resection of insulinomas. Surgery. 1997;122(6):1189–1193; discussion 1193–1194. Doppman JL, Chang R, Fraker DL, et al. Localization of insulinomas to regions of the pancreas by intra-arterial stimulation with calcium. Ann Intern Med. 1995;123(4):269–273. Finlayson E, Clark OH. Surgical treatment of insulinomas. Surg Clin North Am. 2004;84(3):775–785. Wayne M, Steele J, Iskandar M, Cooperman A. Robotic pancreatic surgery is no substitute for experience and clinical judgment: an initial experience and literature review. World J Surg Oncol. 2013;11:160. Park BJ, Alexander HR, Libutti SK, et al. Operative management of islet-cell tumors arising in the head of the pancreas. Surgery. 1998;124(6):1056–1061; discussion 1061–1062. Hirshberg B, Libutti SK, Alexander HR, et al. Blind distal pancreatectomy for occult insulinoma, an inadvisable procedure. J Am Coll Surg. 2002;194(6):761–764. Berends FJ, Cuesta MA, Kazemier G, et al. Laparoscopic detection and resection of insulinomas. Surgery. 2000;128(3):386–391. Zhao YP, Zhan HX, Zhang TP, et al. Surgical management of patients with insulinomas: Result of 292 cases in a single institution. J Surg Oncol. 2011;103(2):169–174. Grover AC, Skarulis M, Alexander HR, et al. A prospective evaluation of laparoscopic exploration with intraoperative ultrasound as a technique for localizing sporadic insulinomas. Surgery. 2005;138(6):1003–1008; discussion 1008. Simon D, Starke A, Goretzki PE, Roeher HD. Reoperative surgery for organic hyperinsulinism: indications and operative strategy. World J Surg. 1998;22(7):666–671; discussion 671–672. Goode PN, Farndon JR, Anderson J, Johnston IDA, Morte JA. Diazoxide in the management of patients with insulinoma. World J Surg. 1986; 10(4):586–592. Fajans SS, Floyd JC, Thiffault CA, Knopf RF, Harrison TS, Conn JW. Further studies on diazoxide suppression of insulin release from abnormal and normal islet tissue in man. Ann N Y Acad Sci. 1968;150(2):261–280. Arnold R, Wied M, Behr TH. Somatostatin analogues in the treatment of endocrine tumors of the gastrointestinal tract. Expert Opin Pharmacother. 2002;3(6):643–656. Vezzosi D, Bennet A, Rochaix P, et al. Octreotide in insulinoma patients: efficacy on hypoglycemia, relationships with Octreoscan scintigraphy and immunostaining with anti-sst2A and anti-sst5 antibodies. Eur J Endocrinol. 2005;152(5):757–767. Caplin ME, Pavel M, CwikŁa JB, et al; CLARINET Investigators. Lanreotide in metastatic enteropancreatic neuroendocrine tumors. N Engl J Med. 2014;371(3):224–233. Ferrer-García JC, Iranzo González-Cruz V, Navas-DeSolís S, et al. Management of malignant insulinoma. Clin Transl Oncol. 2013;15(9):725–731. Hirshberg B, Cochran C, Skarulis MC, et al. Malignant insulinoma: spectrum of unusual clinical features. Cancer. 2005;104(2):264–272. Raymond E, Dahan L. Raoul JL. Sunitinib malate for the treatment of pancreatic neuroendocrine tumors. N Engl J Med. 2011;364(6):501–513. Yao JC, Shah MH, Ito T. Everolimus for advanced pancreatic neuroendocrine tumors. N Engl J Med. 2011;364(6):514–523.